Last Sunday was a great encouragement. We looked at Luke chapter 9 and the power of Jesus displayed in casting out Demons. What an amazing Saviour we follow. We also joined together in collective grief, having heard the news of the death of Angela Best. Our prayers were offered for the family, and especially Glyne her husband, and Glenroi their son. 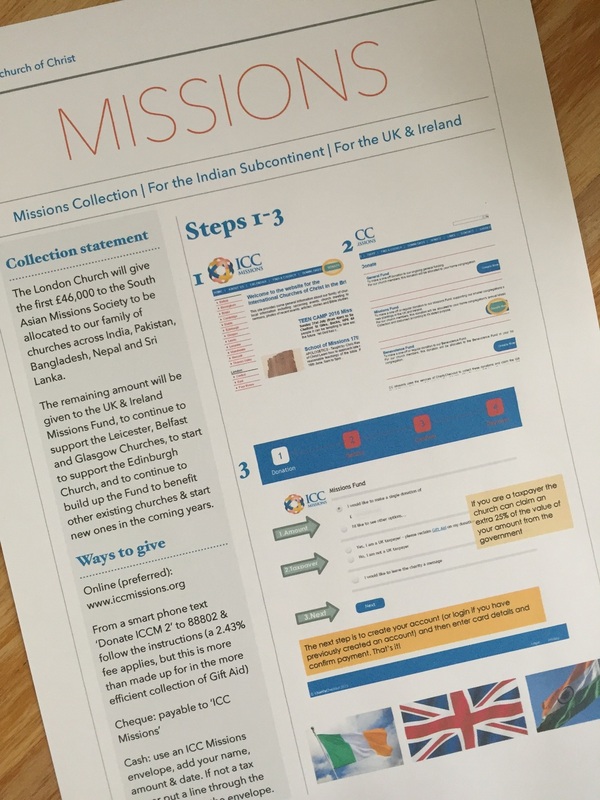 This coming Sunday is our collection for missions in the Indian subcontinent, the United Kingdom and Ireland. More information about how to contribute is on the Facebook page. In the meantime, it's worth reflecting upon the fact that our existence as a church is largely the result of the financial sacrifice of other people. Let's do our part with the resources God has given us, to spread the gospel in parts of the world to which we cannot physically go.